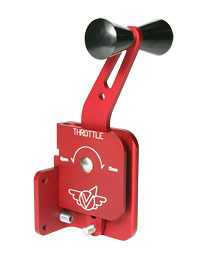 Designed for use in a center-cockpit control column, The Throttle Quadrant ST features a placarded backing plate, angled control arm for instrument panel clearance, and dual control grips for authoritative control from both sides of the cockpit. 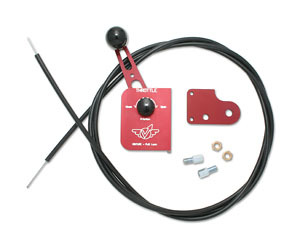 AeroConversions Throttle Quadrants are designed to work with the AeroConversions AeroInjector's pull control, or with any other carburetor equipped for reversing pull-throttle actuation. 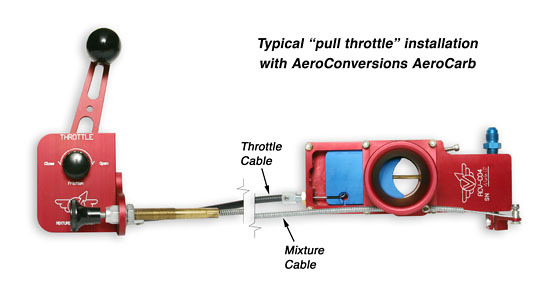 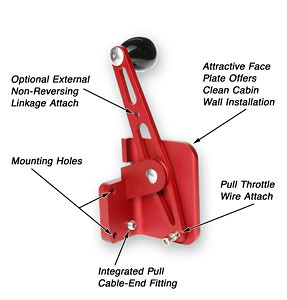 Customers may optionally attach external linkage to a hole provided in the upper throttle arm to convert the AeroConversions Throttle Quadrant to a non-reversing control.